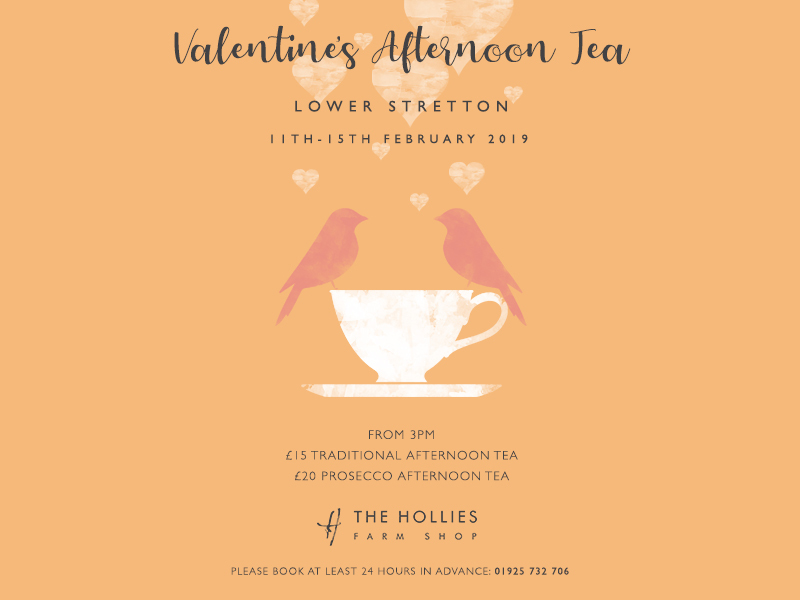 Enjoy a Valentine’s Afternoon Tea with someone special this Valentine’s in our Lower Stretton Coffee Shop. Valentine’s Afternoon Tea week will run from Monday 11th February until Friday 15th February from 3pm each day. Devour a selection of freshly made gourmet sandwiches and a bowl of artisan crisps then move on to the sweet treats! Macaroons, rich chocolate mousse, red velvet cake, prosecco jelly, meringue truffles plus raspberry & white chocolate scones topped with cream and mixed fruit. What is not to love? £15 per person or £20 per person with a glass of Prosecco.